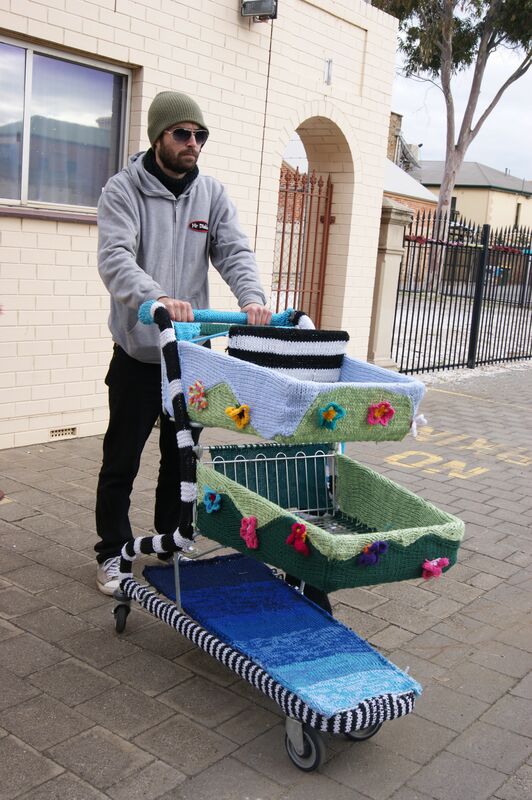 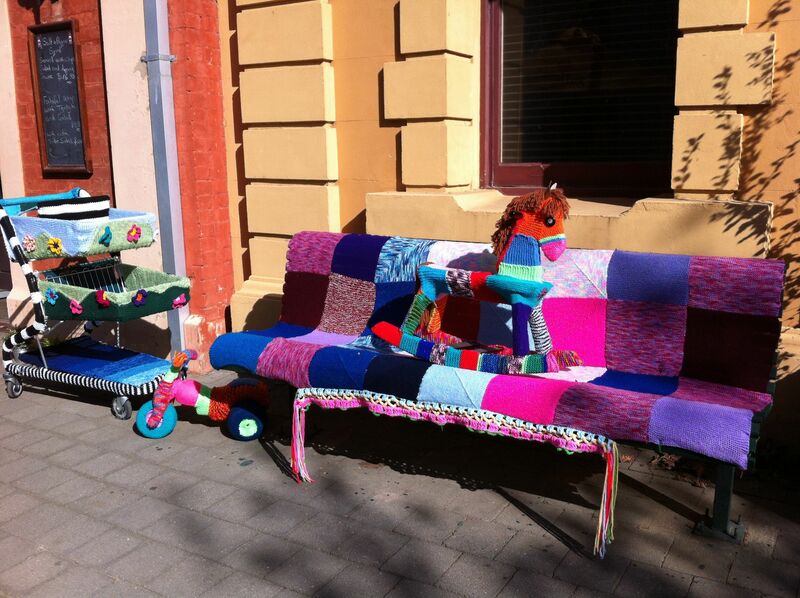 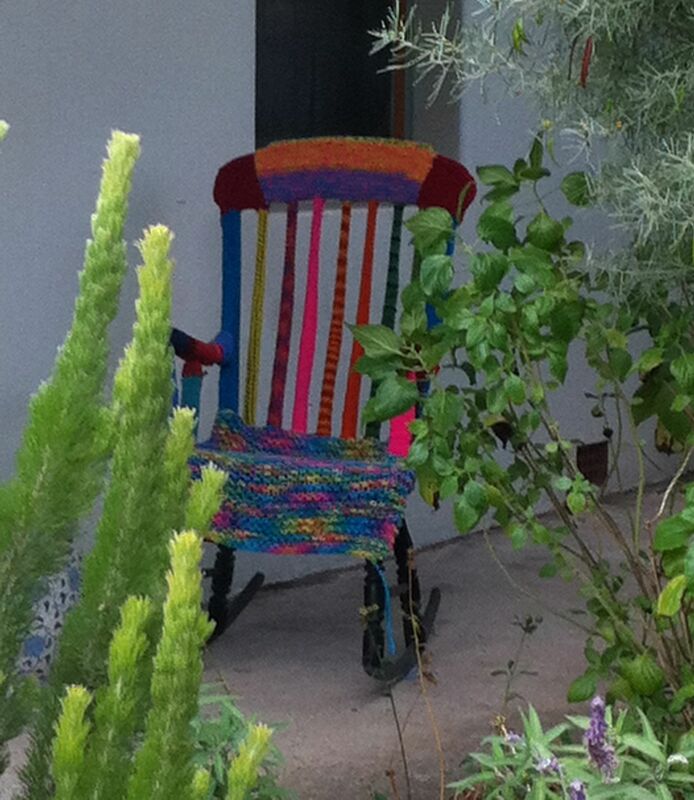 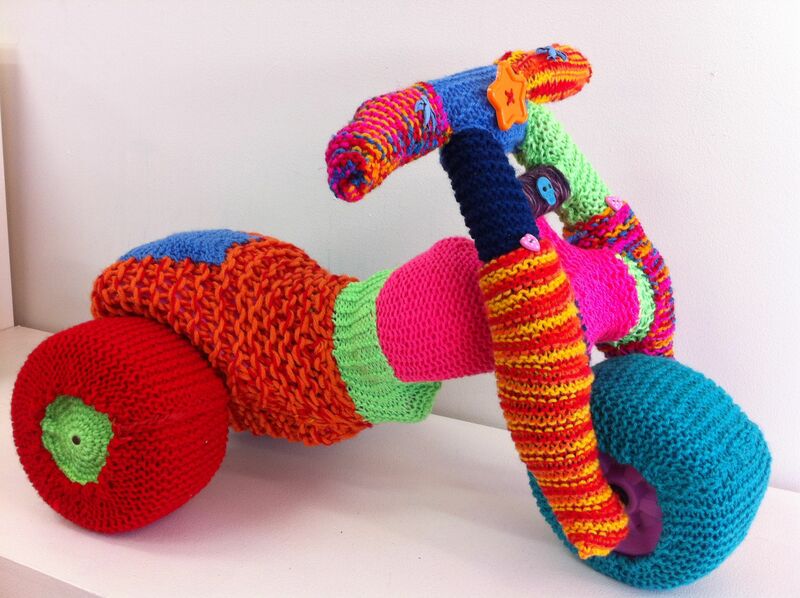 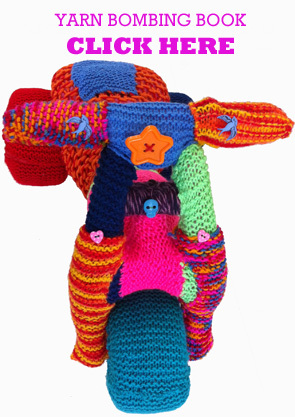 THESE YARN BOMB TRIKES ARE COVERED IN KNITTING. 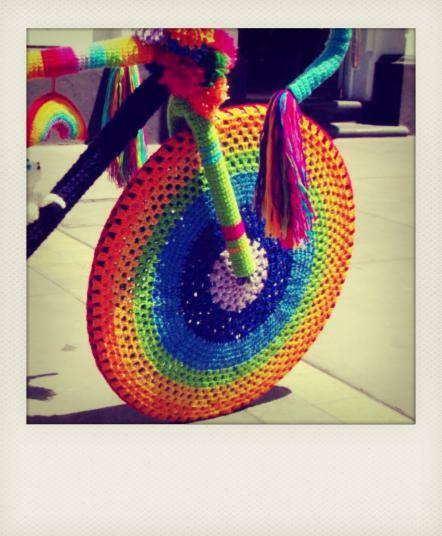 THE HUBCAPS ARE CROCHET CIRCLES. 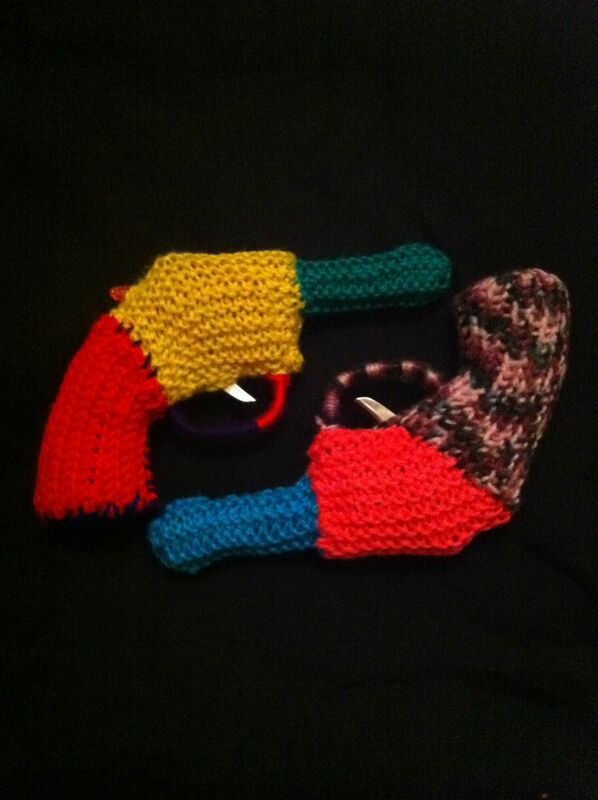 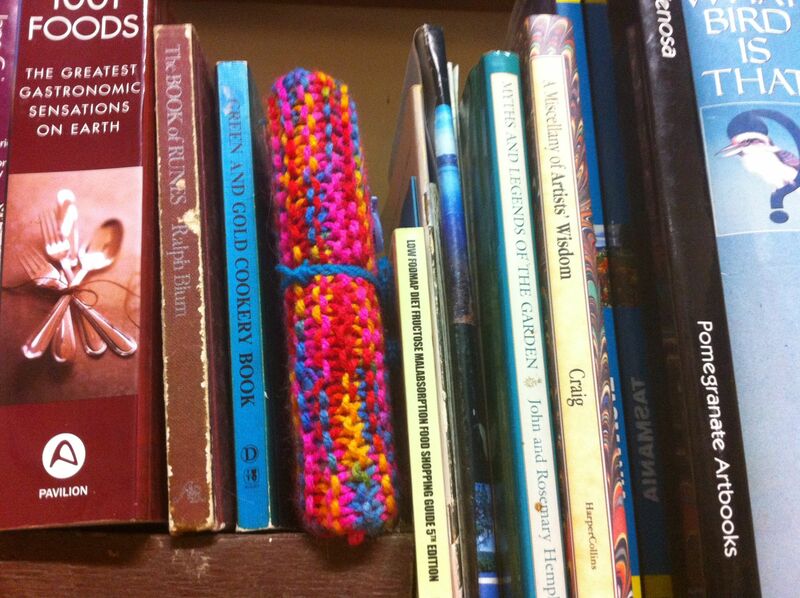 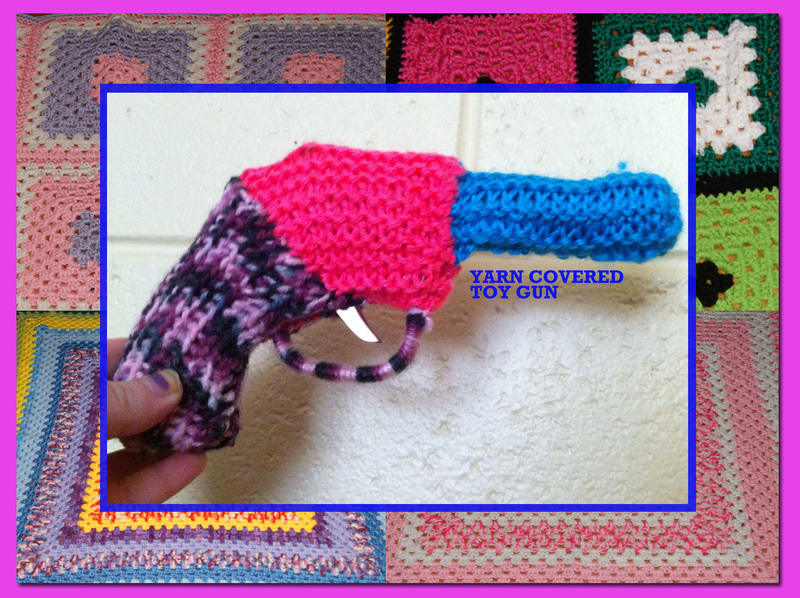 THIS TOY PISTOL IS COVERED IN A MASH UP OF CROCHET AND KNITTING. 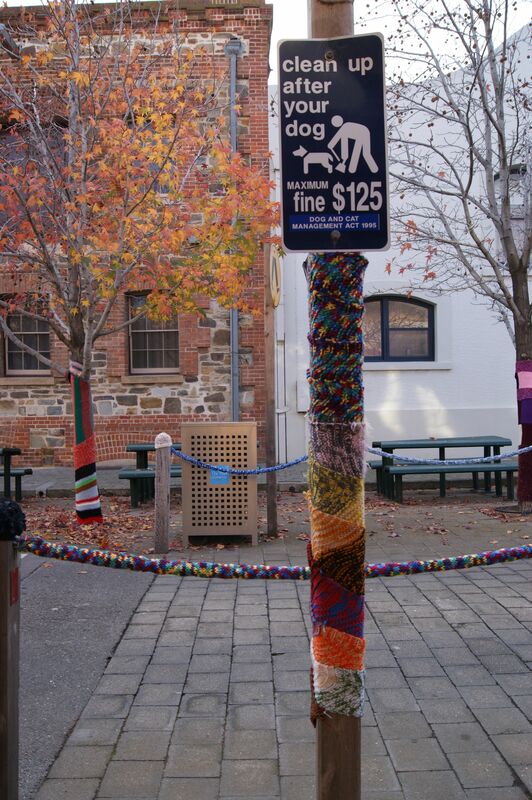 A VERY VERY VERY LONG SCARF. 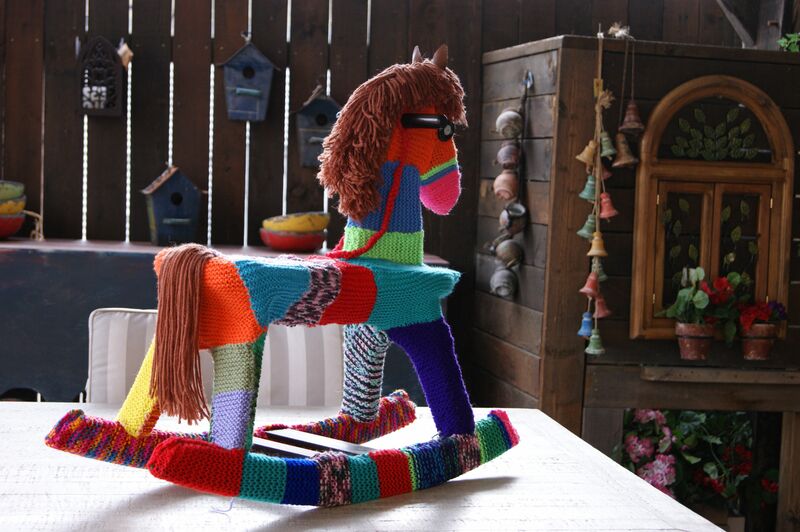 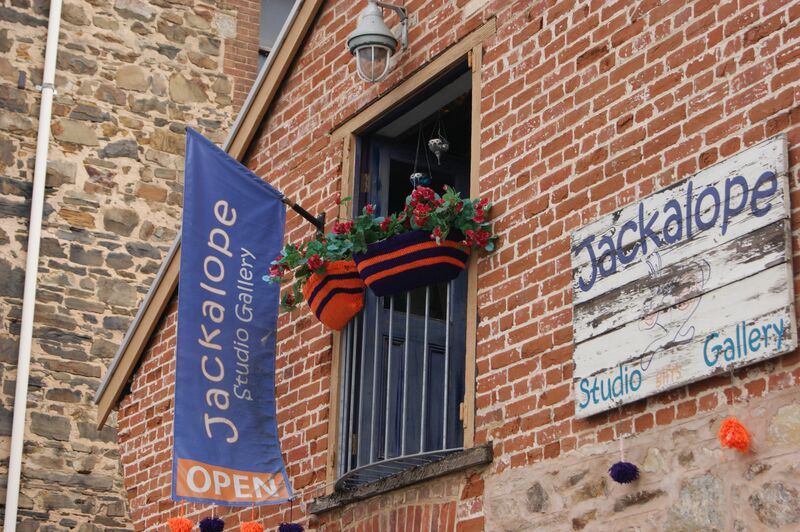 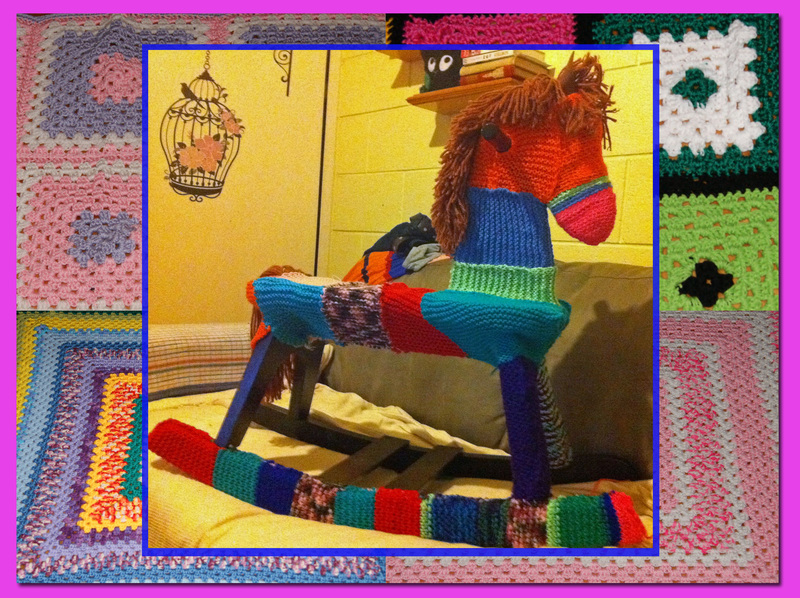 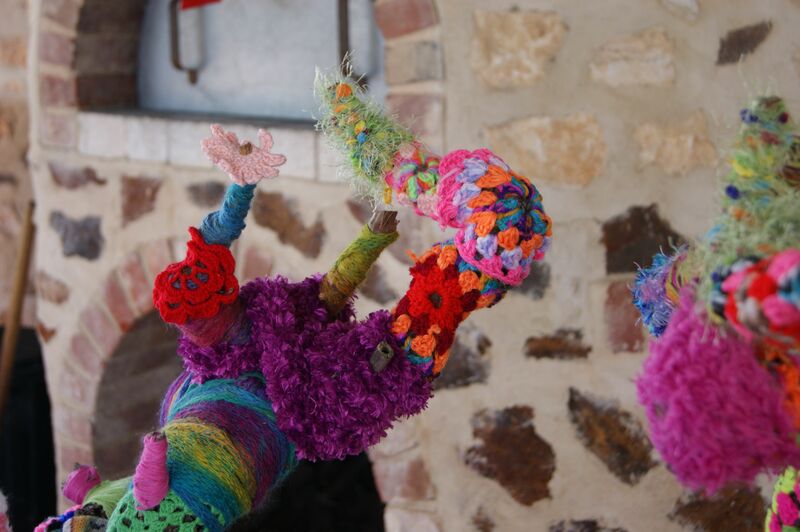 YARN BOMBING THE ROCKING HORSE, ROCKS. 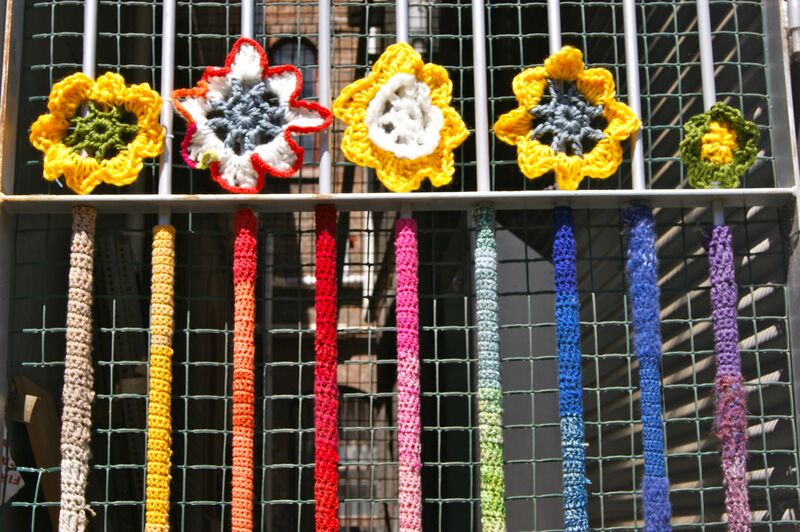 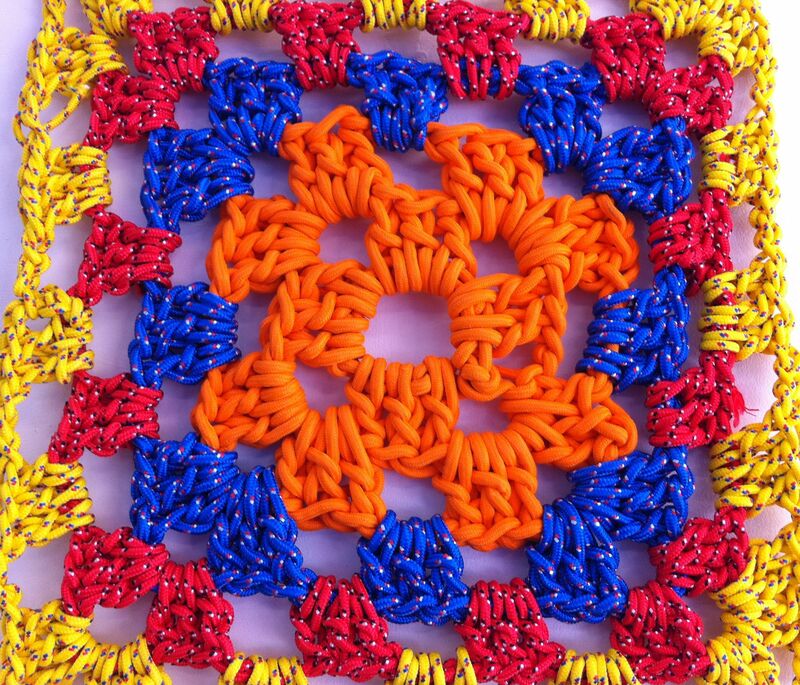 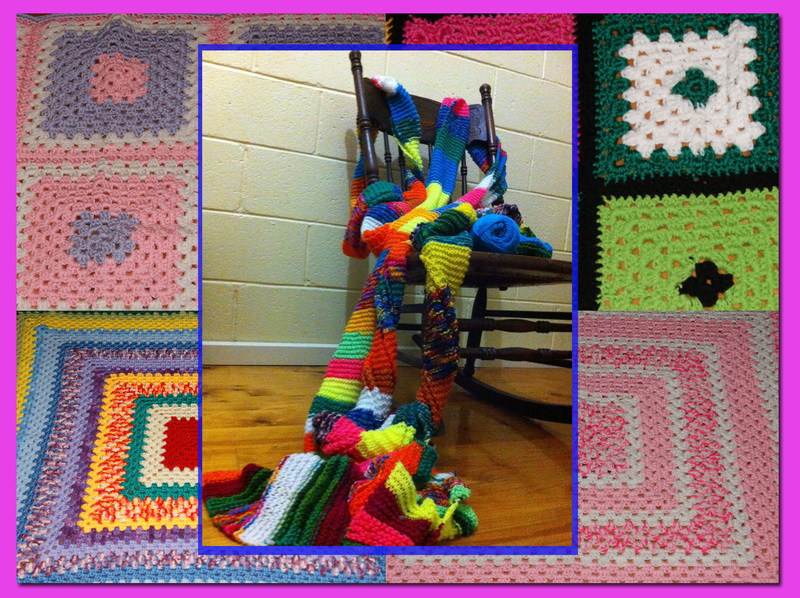 THESE GIANT CROCHET SQUARES ARE MADE FROM COLOURED ROPE, FROM THE LOCAL HARDWARE STORE. 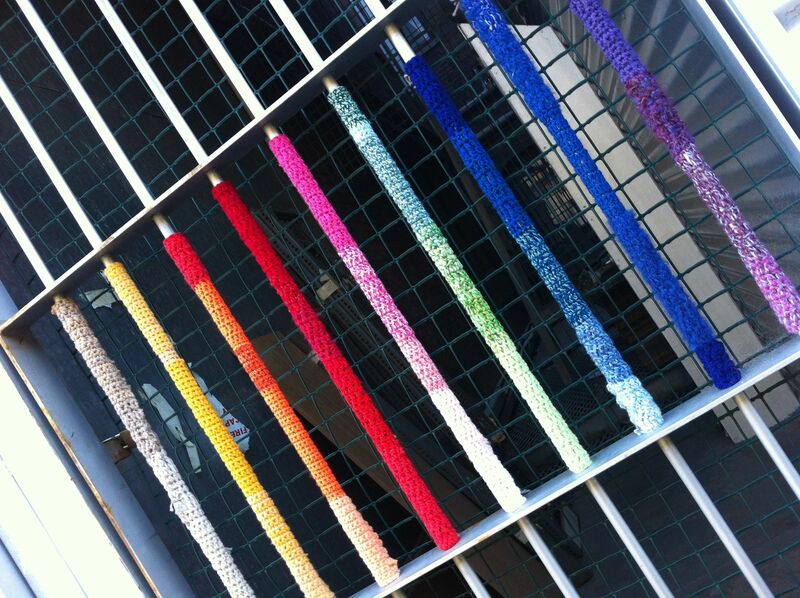 MY FRIEND NUNYA MADE THEM FOR A CRAFT EXHIBITION. 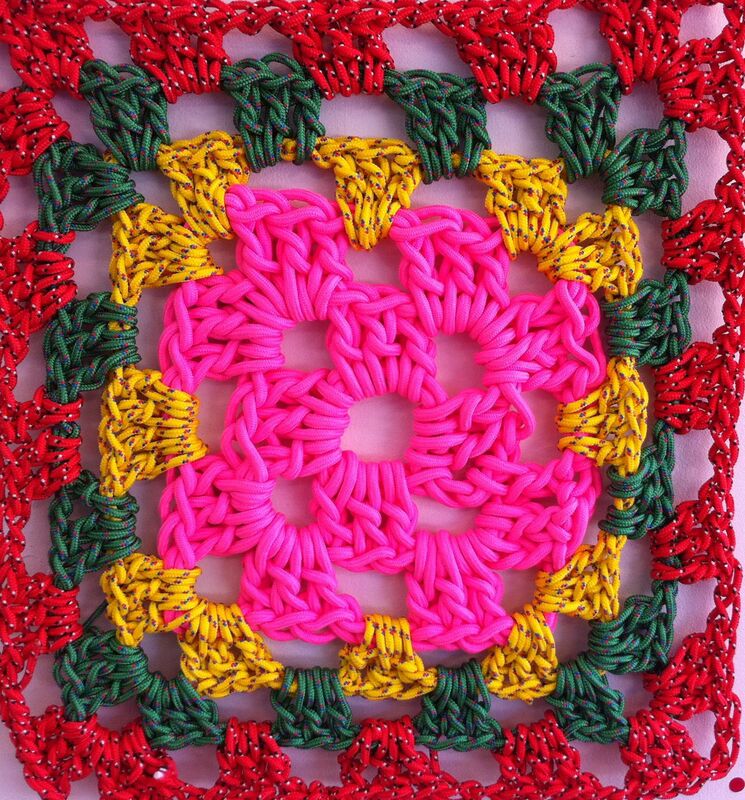 THEY WOULD MAKE CUTE FLOOR RUGS. 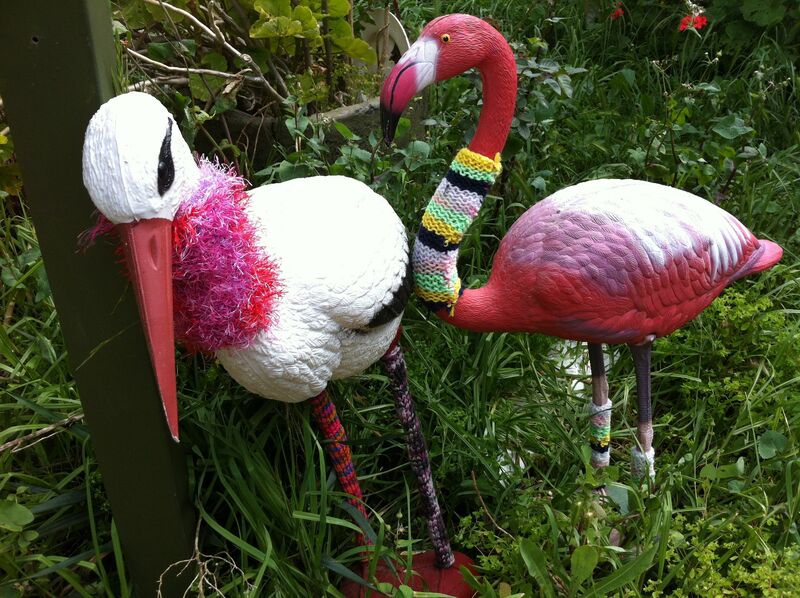 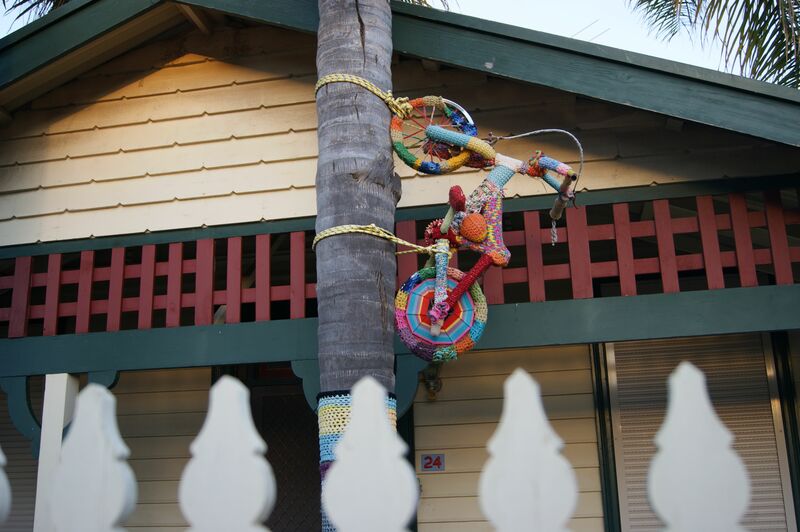 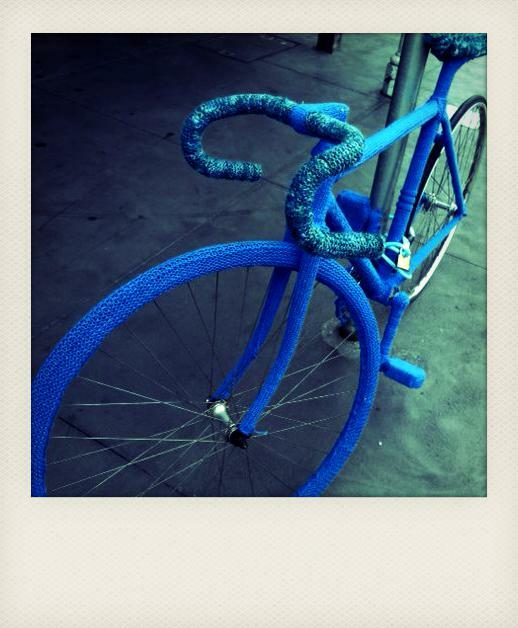 This entry was posted in bikes, crochet, knitting, photography, toys and tagged craft, crochet, knitting, photography, yarn bomb, yarn bombing on September 21, 2013 by yarnbomb. 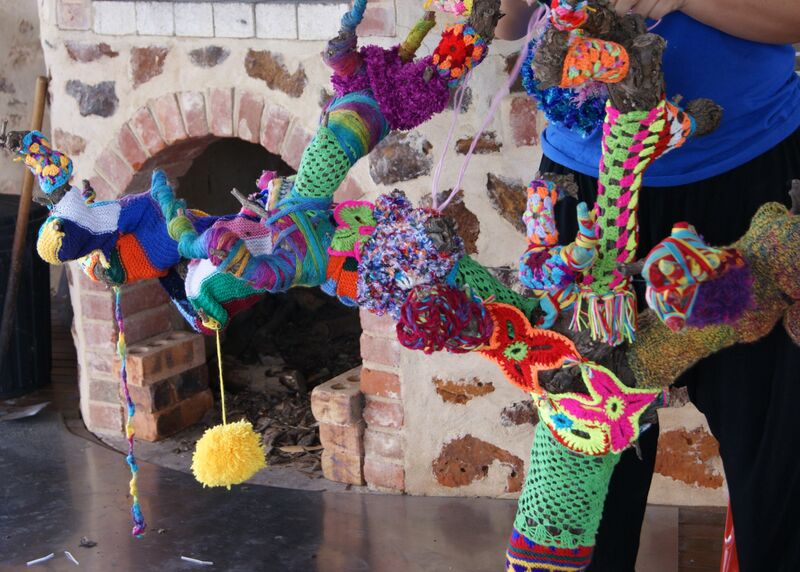 Crochet is such a versatile craft you can crochet a blanket a tea cosie or even a tree cosie. 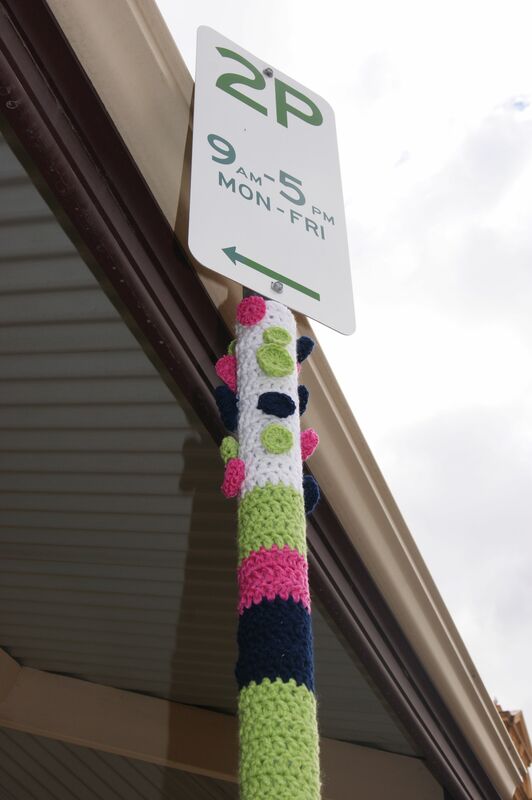 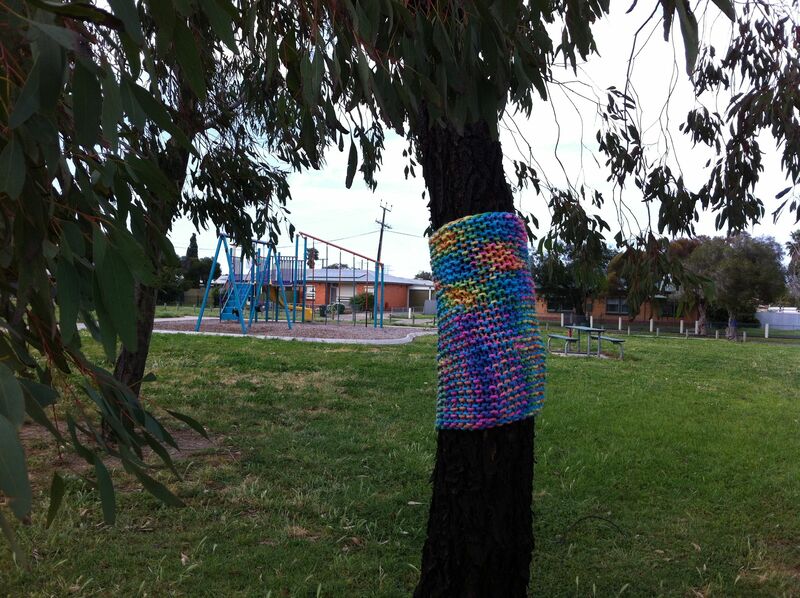 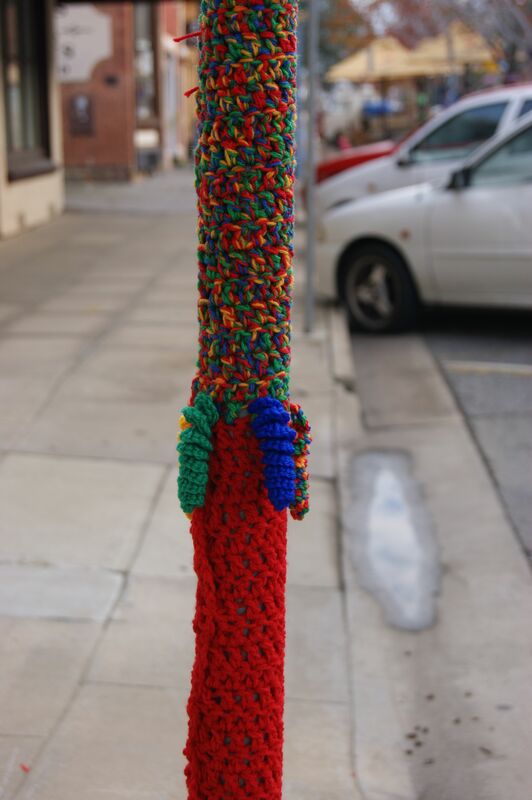 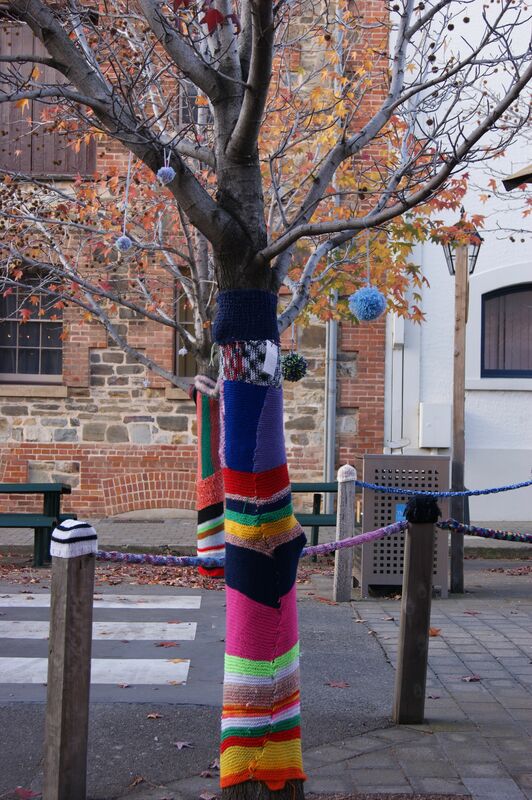 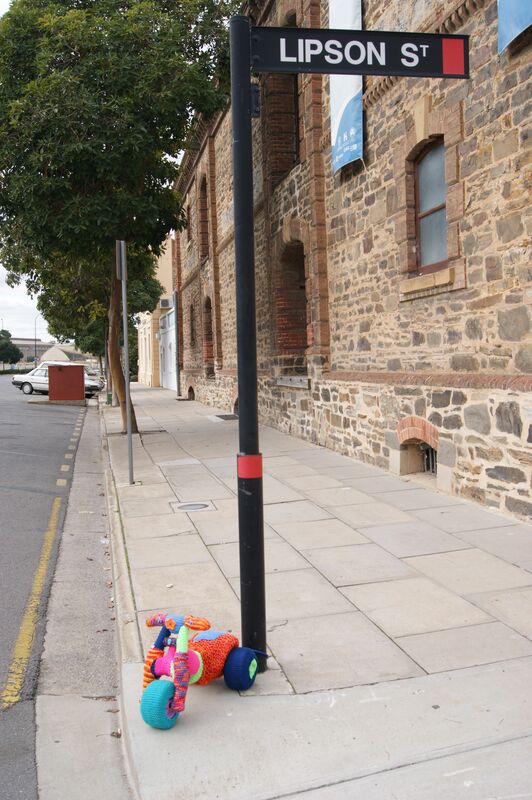 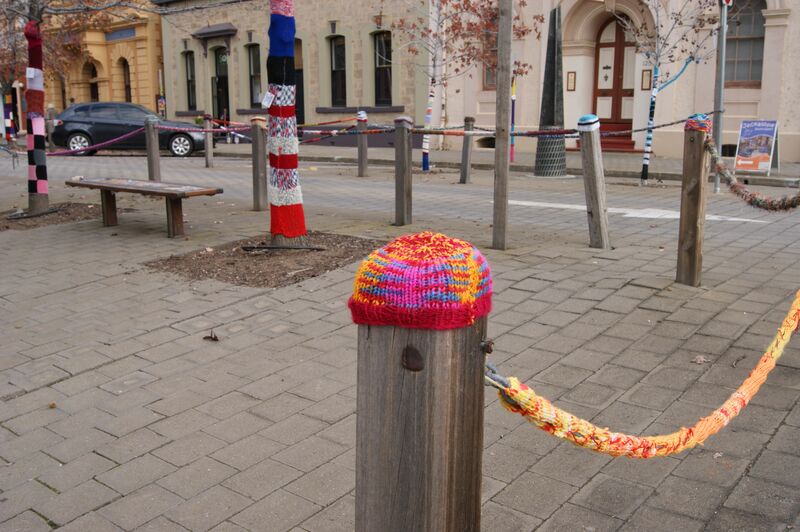 I spotted this great yarn bomb tree cosie when I was taking a stroll through Port Adelaide. 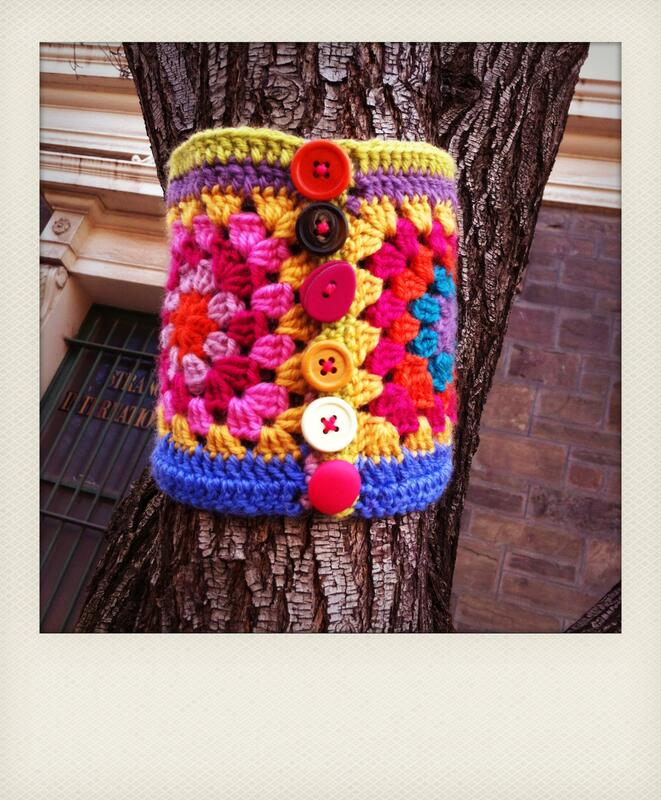 The vintage buttons look fantastic with the bright yarn and textured tree bark. 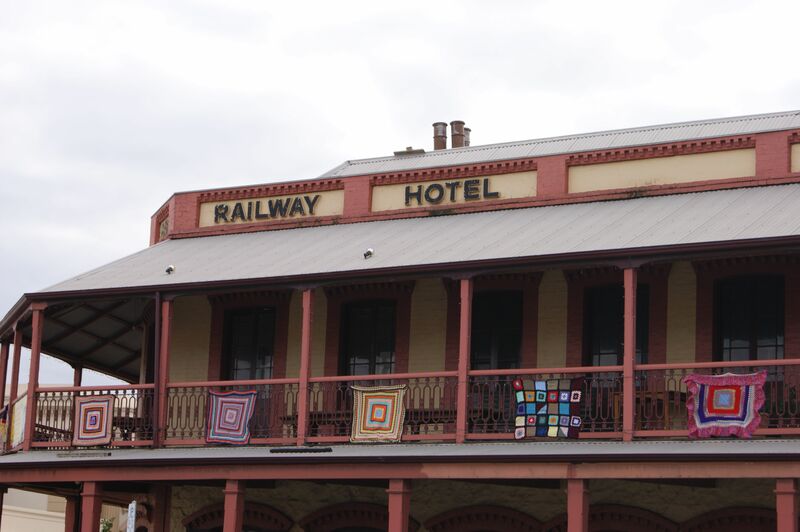 I also picked up some great vintage crochet blankets from Port Adelaide Vinnies thrift store and they look great in my house as wall hangings and throw rugs. 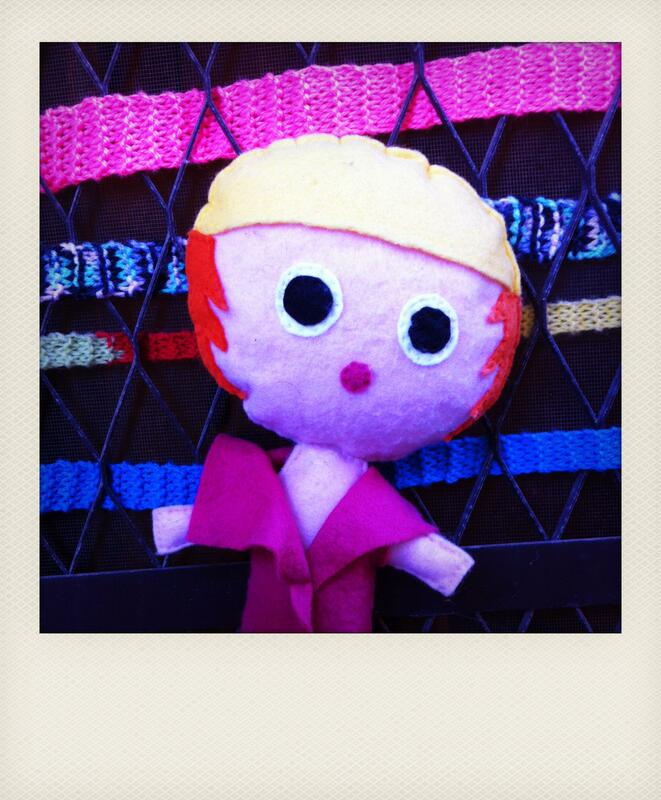 I love decorating with yarn and felt toys and this little toy is something that I hand stitched when I was on holiday in a caravan and now it’s stuck to the front front door. 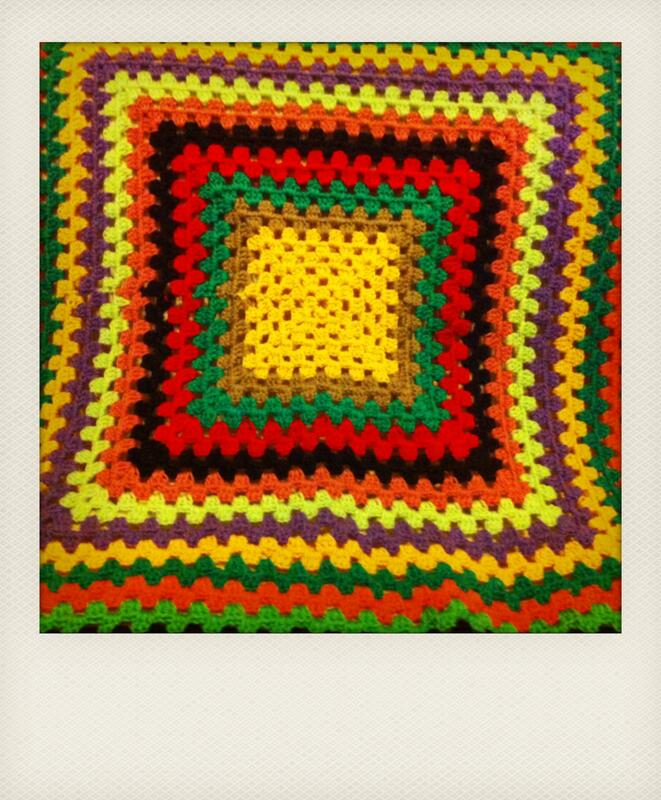 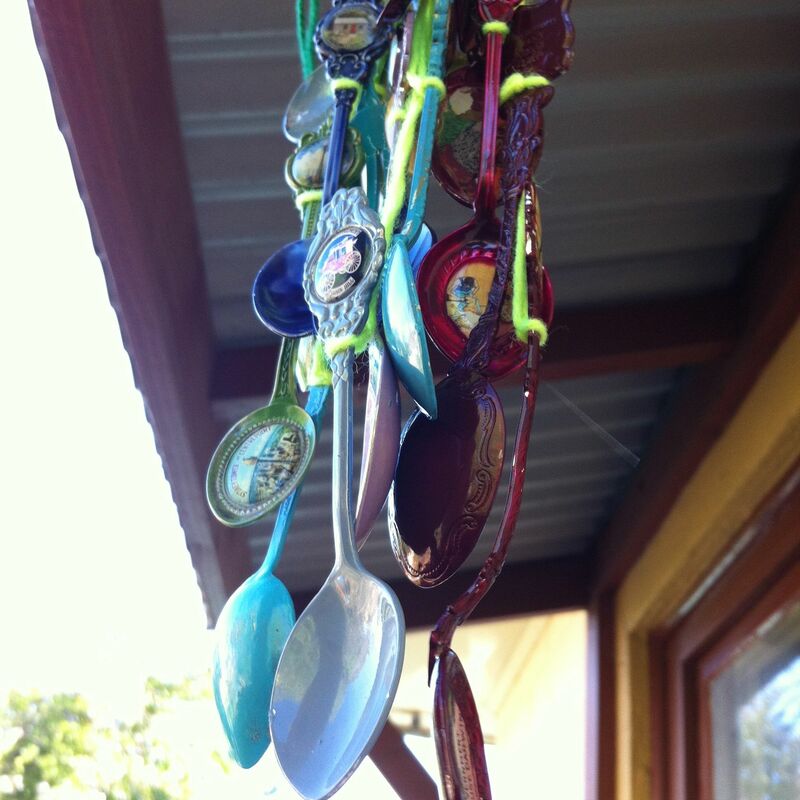 I love crafting on my holidays because I find it so relaxing. 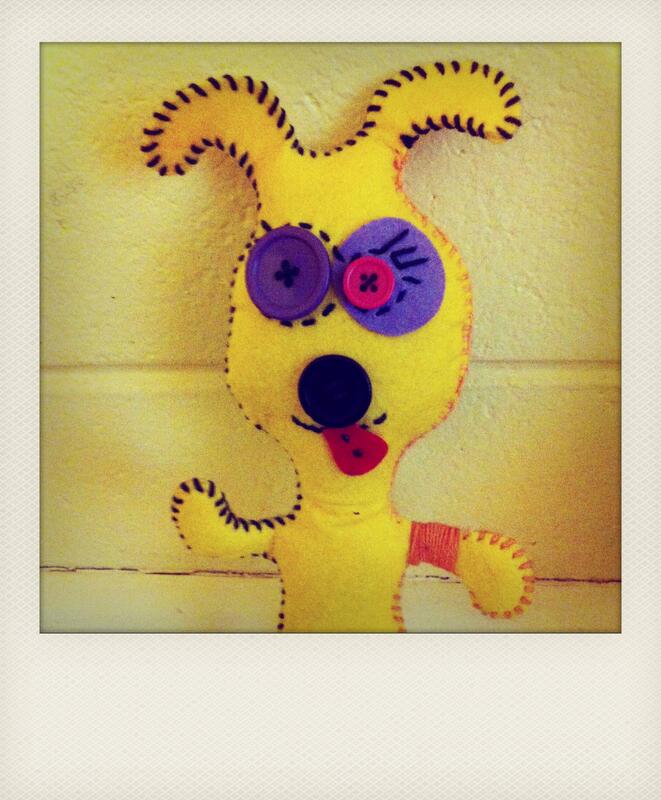 I sewed this little felt toy while I was on a family holiday at christmas. 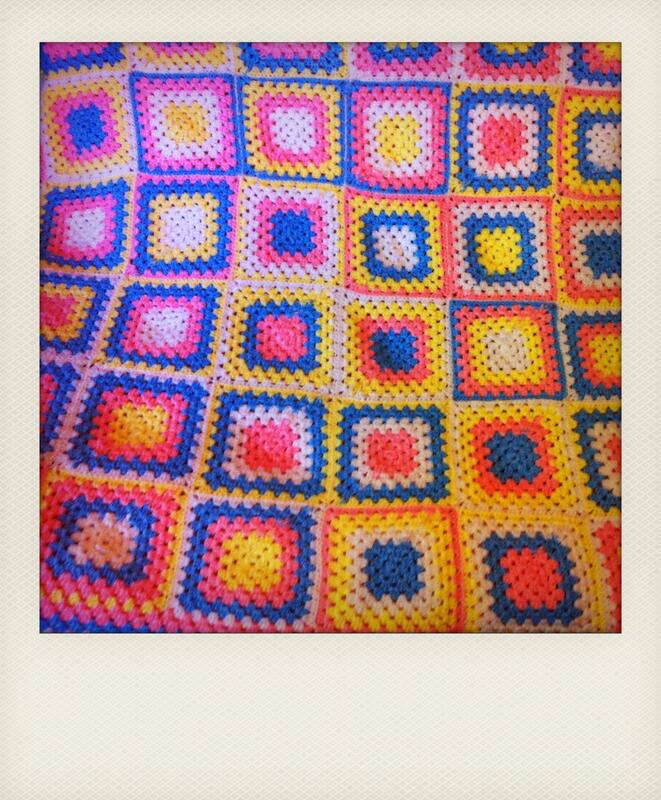 The buttons make great eyes although they are probably not safe for children under three but since I’m in my thirties I think I can manage not to swallow the buttons. 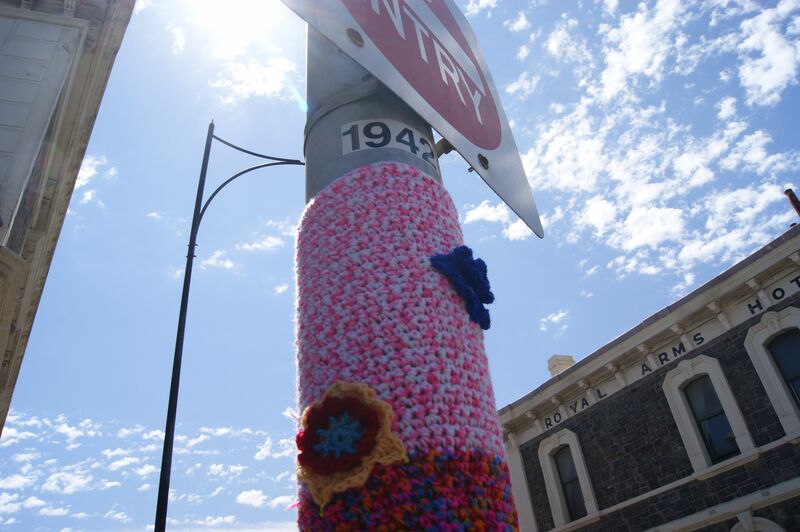 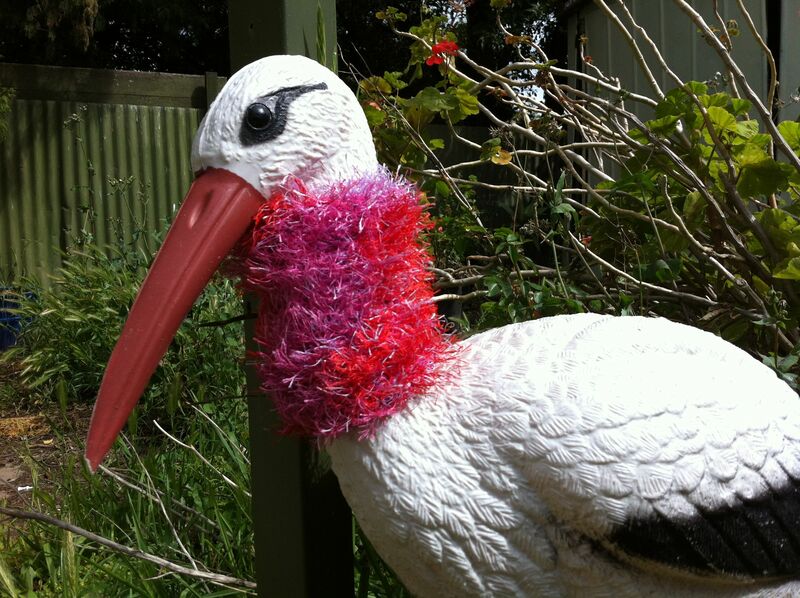 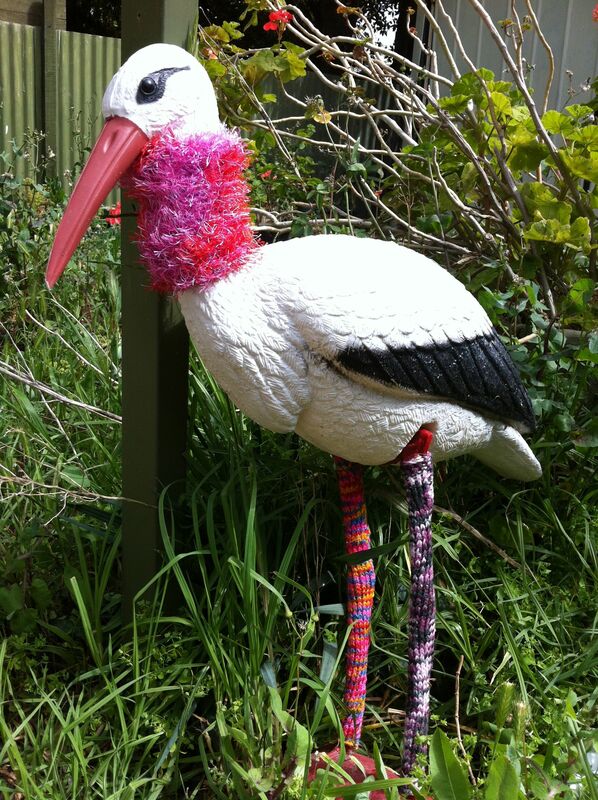 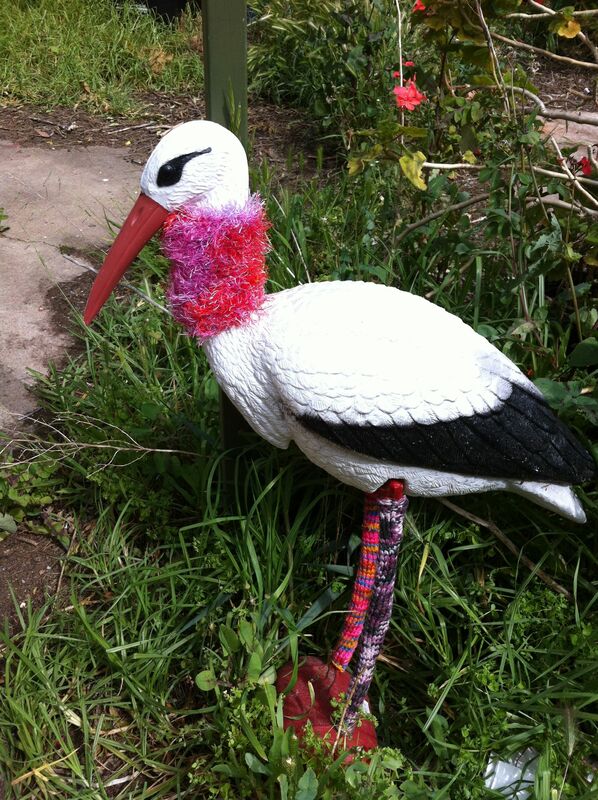 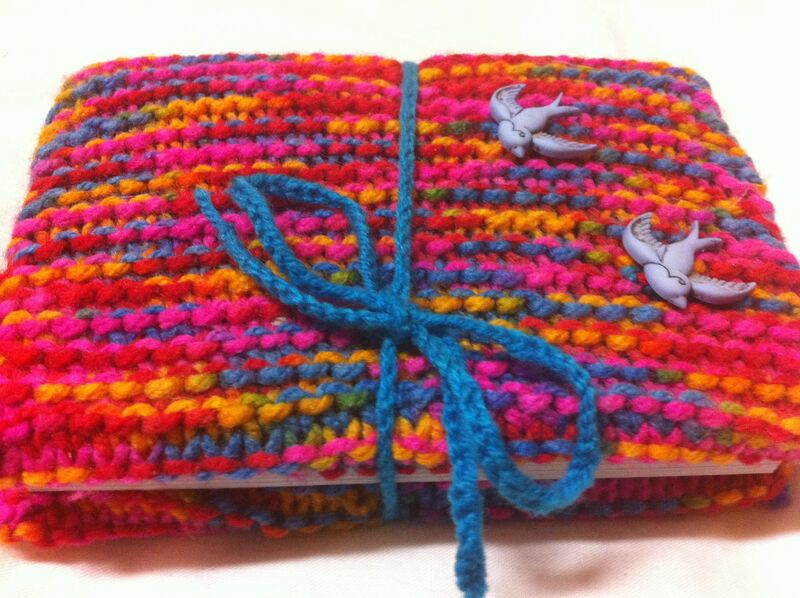 This entry was posted in toys and tagged craft, crochet, felt, photography, polaroid, port adelaide, yarn, yarn bomb on August 12, 2012 by yarnbomb. 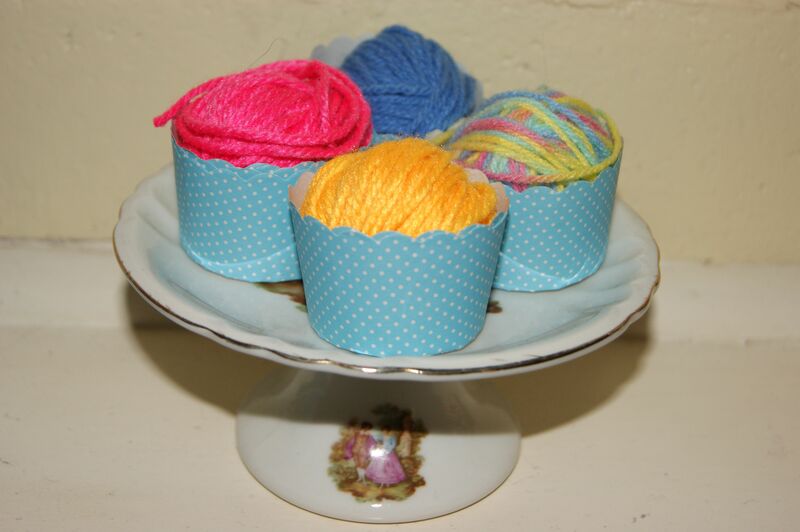 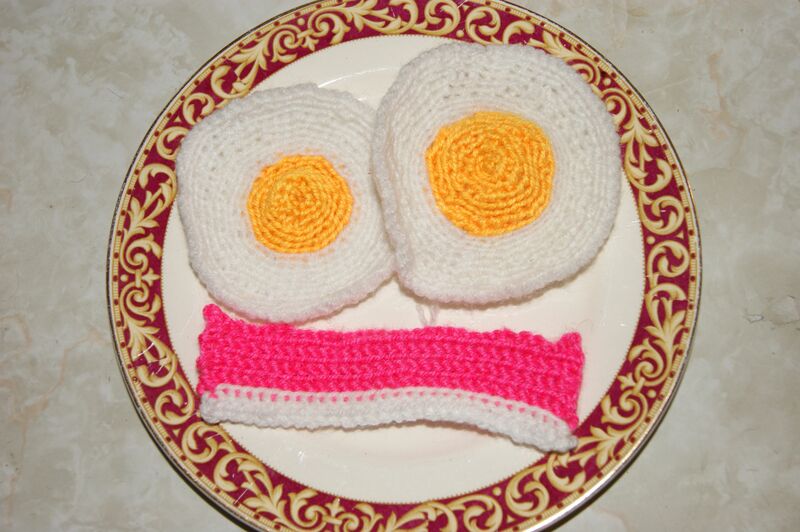 These crochet mellon’s were made by my friend sarah-jane cook. 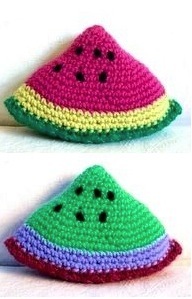 The mellon pieces are 3D & filled with poly toy stuffing they are fun & safe for children & adults to play with or chew on. 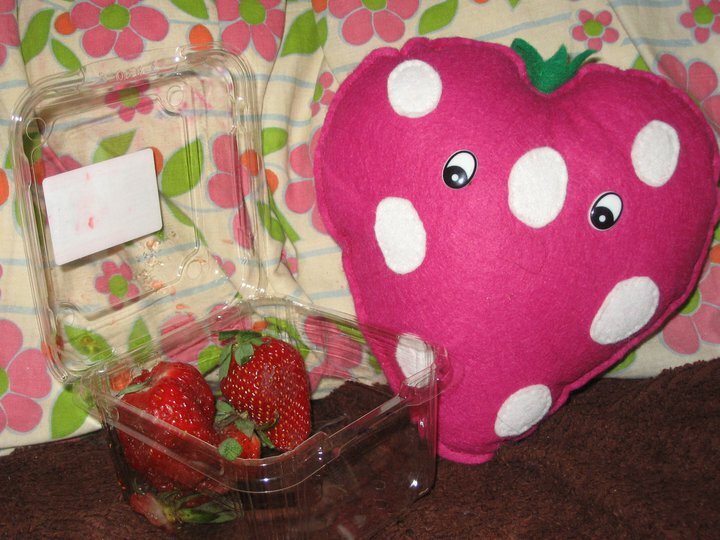 I made this giant strawberry myself. It is hand stitched from coloured felt & filled with poly toy stuffing. 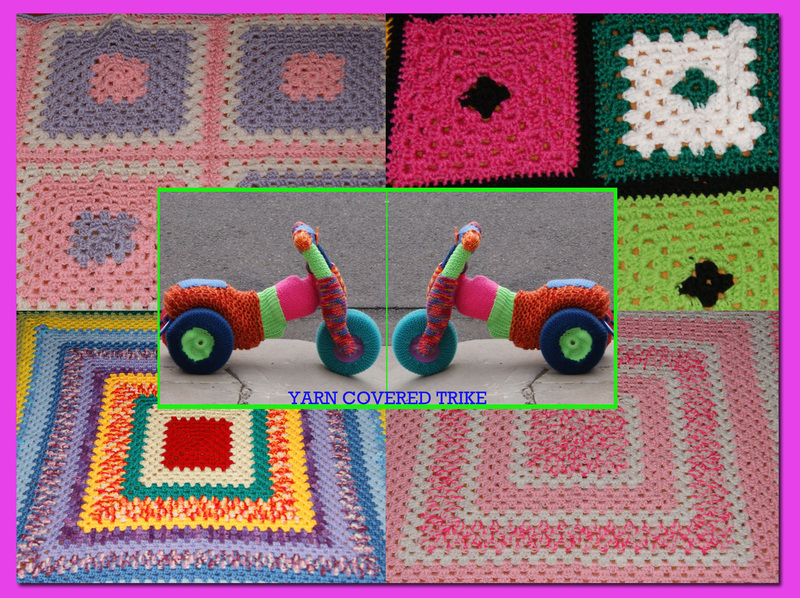 the eyes are childproof plastic eyes, so this is safe for kids & grownups. 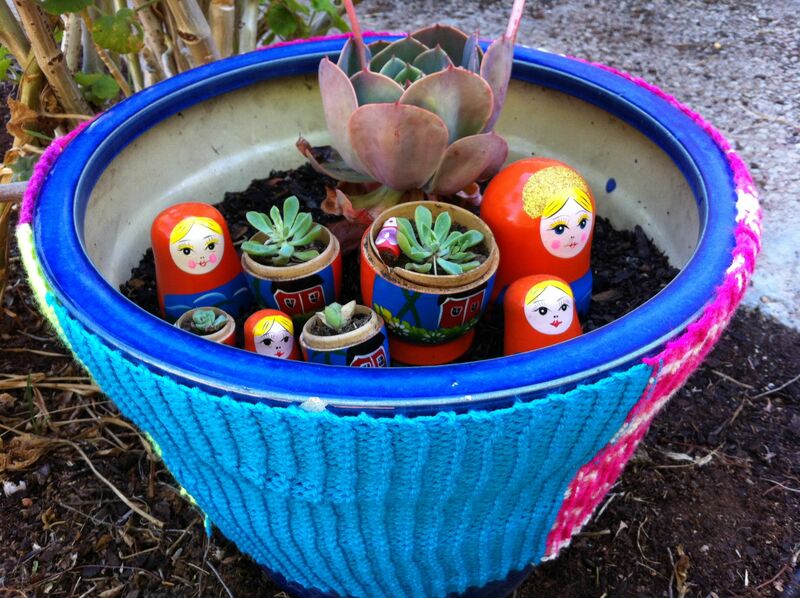 This decorative toy is really easy to make & you don’t really need a pattern. 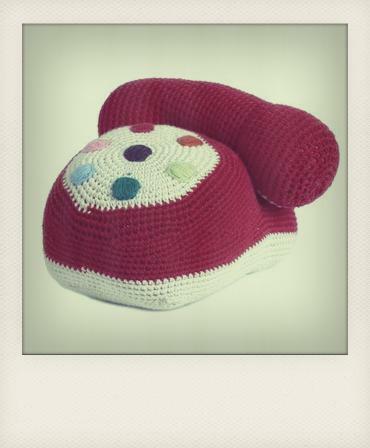 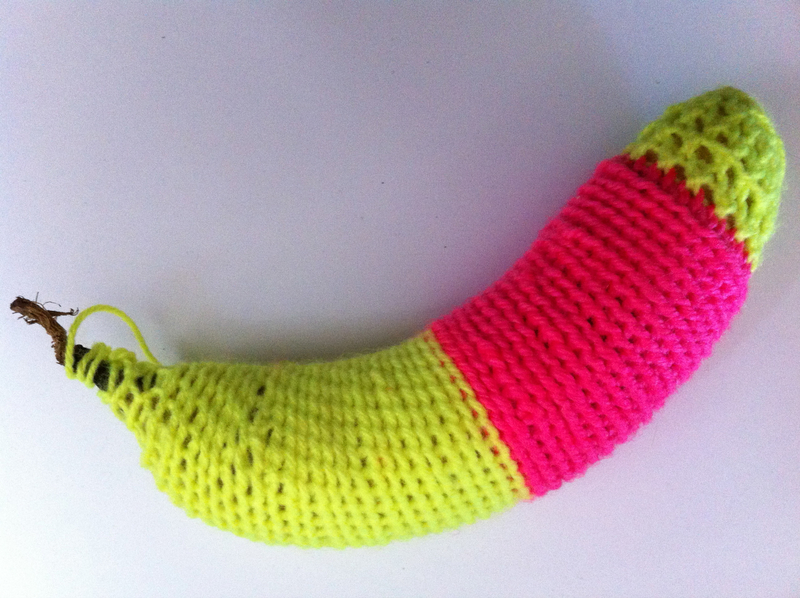 This entry was posted in toys, Uncategorized and tagged craft, crochet, felt, fruit, toy on April 20, 2012 by yarnbomb.